Roberto Firmino has taken time to praise his manager Jurgen Klopp, while claiming he’s personally never felt better at Liverpool. The Brazilian put in a typical performance against West Ham on Saturday, feisty off the ball, creative on it – but woeful in front of goal! He made Alex Oxlade-Chamberlain’s goal with some terrific skill, but missed a gilt-edged one-on-one opportunity, too. 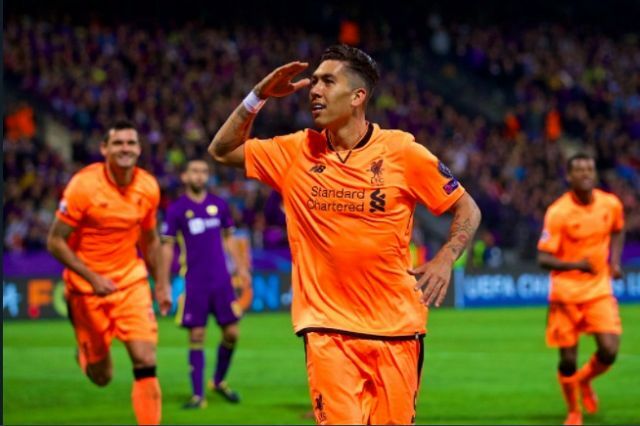 Firmino thinks his success at Liverpool is due entirely to Klopp – and reckons that the manager’s decision to play with more pace and width this season will pay dividends. “It’s difficult to define a specific reason for a good moment,” he told UOL Esporte, translated by Football365. “I’m entering my third season for Liverpool and with each passing year I feel more comfortable, more at home, and this is very positive for me. “Having the opportunity to work with Klopp was very good for my development. “He is a manager who demands a lot, has a lot of experience and understands a lot about football. “Klopp is a fantastic guy. He has that different way of celebrating the goals, he’s quite agitated, but he is an incredible person. “Liverpool got it right when they brought him here and certainly this club growth in recent seasons goes right through him. “I hope that at the end of the season we can celebrate a title together to celebrate this excellent work developed by him. “I think the manager’s job is to find the best position for the athletes he has in the squad. “We have more players on the wings, like Mane and Salah, besides Philippe Coutinho, who plays a role of coming from behind. When we see the team-sheet, or the infographics before games, Firmino looks like our striker, but the reality is that Mo Salah actually plays further forward than Bobby. Firmino drops deep in an attempt to create, while the Egyptian cuts in and plays on the shoulder of the defence. For this reason, it’s important for Liverpool fans to judge him on the team results rather than his individual goal tally, which has never been and will never be incredible. If we’re winning though and Firmino’s in the side, you can be sure he has plenty to do with it.